Proudly serving the towns of Waltham, Watertown, Cambridge, Needham, Allston, Newton, and other cities and towns of the greater Boston, Middlesex County region of Massachusetts. 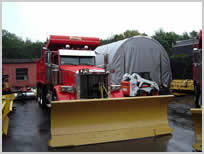 Sarris Snow Removal specializes in commercial snow removal. We provide our commercial snow removal services to management companies, town and city highway departments, large industrial facilities, large shopping malls and plazas, as well as to construction companies and construction job sites. 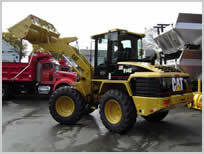 We own our own equipment, which allows us to respond more quickly and efficiently to our customer's needs. Here in New England where our winter weather is so unpredictable, snow plowing and removal services need to be extremely responsive and flexible to meet those unexpected changes. 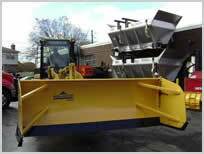 Sarris removes your snow efficiently and effectively in a timely manner. Our snow removal equipment is state of the art and highly effective in removing large quantities of snow and keeping property safe and free of ice. Sarris Commercial Snow Removal offers bulk purchase (and delivery) of road salt for your on-site salting needs. 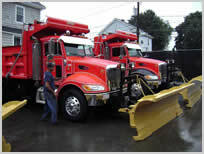 Our services can be contracted per season or per storm (by the inch). Sarris always provides ice control no matter what type of contract you choose. 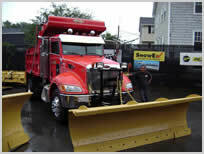 Sarris Commercial Snow Removal has been meeting and exceeding the expectations of many snow removal customers for more than fifteen years. Call now (781-647-1784) for information on seasonal maintenance snow removal contracts, by inch salting, per job contracts and more. 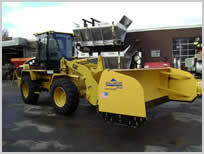 We work with our snow removal customers on creative plans to fit their budget. 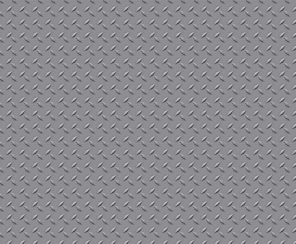 Free estimates! FARMER'S ALMANAC PREDICTS - FRIGID TEMPERATURES - MORE CRAZY WEATHER AHEAD!